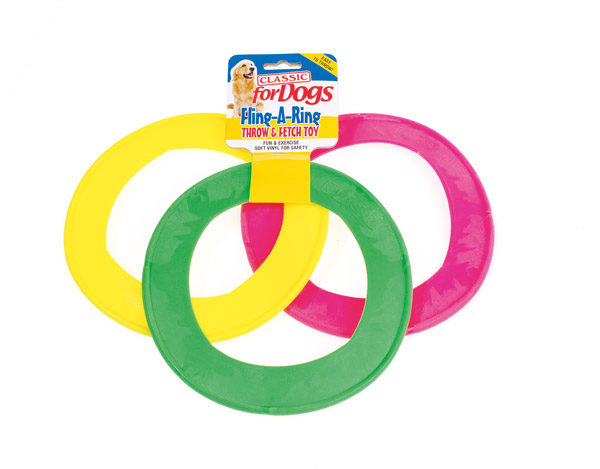 The Classic Fling A Ring is a brightly coloured dog toy which is great for retrieval games with your dog. It can provide both owner and dog with endless hours of fun, exercise and enjoyment. Made from a soft but durable vinyl it is safe for your dog to catch. Supplied in randomly allocated colours. There are currently no questions for Classic Vinyl Fling A Ring Dog Toy - be the first to ask one!